2. Download method of games that are compatible: Enter itunes and App Store to search for "iCade". The handle can be compatible with the vast majority of games, such as Gunman Clive, Helium Boy, League of Evil League of Evil 2, Muffin Knight Free Stardash, Temple the Run and so on. Colorful"X" "Y" "A" "B" buttons produce brand-new look. PG-9037 is the latest generation, new mouse function makes it become an ideal kit while watching your smart TV or playing games on large screen. 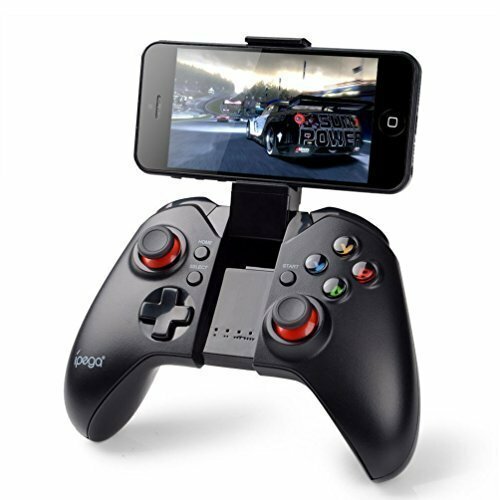 IPEGA gamepad controller works well with a varierty of simulation games on Android system. However, it has not much games supported games on IOS (unless jailbreak). Pressing "B"+"HOME" to connect your ios devices. And this controller can not work with iPad.